Clinic utilisation is the mythical holy grail of productivity metrics in outpatients for the NHS. It’s a simple metric that describes what percentage of the appointment slots provided for patients result in a patient being seen. This is clearly an important figure in secondary care, but notoriously hard to measure due to its association with clinic scheduling templates. Unfortunately for the NHS, very few hospital systems have a well-defined concept of scheduling. The templates defined for clinics are frequently used as administrative tools for telling the patient when to turn up but aren’t well-presenting of what goes on in the clinic. These templates tend to go a little mis-matched over time compared to what really happens and will not show you what percentage of all possible appointments a patient turned up for. A good analogy for this is an airline that is trying to work out if they sold all their seats for a flight but did not know how many seats they had in the first place. Hospitals often measure DNA rates as a basis for monitoring clinic success, but this is not always the most appropriate metric. DNA rates often present as a problem when looking from an operational efficiency point of view. But they are not the only problem and they are independent of other problems. When trying to improve clinic utility, focusing on DNA rates alone causes other problems to go unnoticed. In fact, these problems might be easier to fix (from a productivity point of view, for the financially strained NHS). An example of this might be cancelled appointments (by patient, or hospital) that aren’t successfully refilled. If say 8% of a clinic’s appointments were DNA and a similar proportion was cancelled and not refilled, focusing on refilling slots will ultimately be more valuable as an improvement of ~80% can be achieved. DNA rate will only likely be improved by around a third, as DNAs are down to those patients never wanting those appointments in the first place. 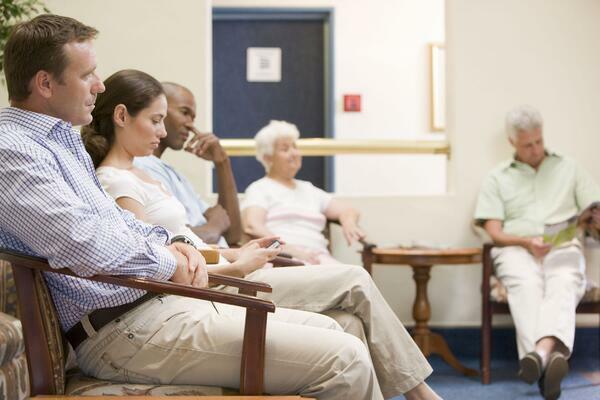 If a clinic continuously has a significant number of available appointments that are never booked, the number of clinics running should be reduced. This will reduce the cost of the system meaningfully. But of course, most of the NHS is under massive pressure to meet demand so this isn’t always possible, which is why it’s important to better utilise the resources you have at your disposal to meet demand rather than just increase the supply. The best way to design an appointment template for clinic utilisation is to look at the real world and what actually happens in clinics and then to mirror that reality. This means understanding if two patients that require appointments of different lengths should be seen in the same clinic. Maybe some of their issues could be identified in advance and the patients could be triaged to more direct services. Alternatively, the proportion of each type of appointment could be factored in the design of the clinic template. In a well-run clinic you’ll see a template that accounts for the slots being dynamic. The concept of “appointment slots” goes away and scheduling takes place based on time. In reality, appointments usually take slightly longer than planned and the clinic will normally overrun. A good clinic template design allocates two patients for the day’s first appointment slot and allows it to take slightly longer. Better results are achieved when you buffer by not keeping people in for longer but by having more people in at a given point of time. This is why clinics have waiting areas; for people to buffer, queue and wait to get through the next stage of the process. Here at DrDoctor we are helping the NHS run better by using digital technology to support hospitals and patients interact. We believe clinic utilisation should be a major focus when it comes to improving the financial performance of hospitals and are committed to doing our bit. We do this by providing the tools to enable patients to be seen when they need to be seen, at the right place and at the right time.